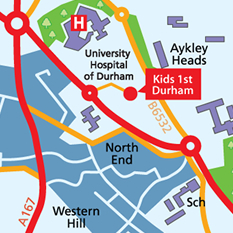 Kids 1st Durham is situated in the city centre in the grounds of Durham University Hospital. The nursery is split into rooms depending on age group and level of development and each room has direct access to large, well-equipped and challenging gardens which have been designed to suit the age groups that use them. In the academic year before the children are eligible for mainstream school they will enter the Kids 1st Pre-School. In November 2014 Kids 1st Durham was awarded their second Outstanding Ofsted Report and was recently named the tenth ‘Highest Recommended Nursery in the North East’ on daynurseries.co.uk. At Kids 1st Durham we follow the Early Years Foundation Stage (EYFS) which covers children’s development and learning from birth to 5 years. The EYFS is designed to deliver improved outcomes for all children, across every area of learning and development. As an extra addition to the curriculum, children at Kids 1st Durham participate in music and movement classes and they are taken out on visits throughout the year. 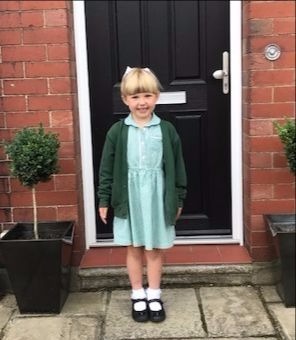 We love to involve our parents through regular parents’ social evenings, at these events you will meet with your child’s key person who will talk to you about your child’s development.